Preheat oven to 400 degrees F. Line 9x13 baking sheet with parchment paper. Sift cake flour into a large mixing bowl. Add matcha, baking powder and salt. 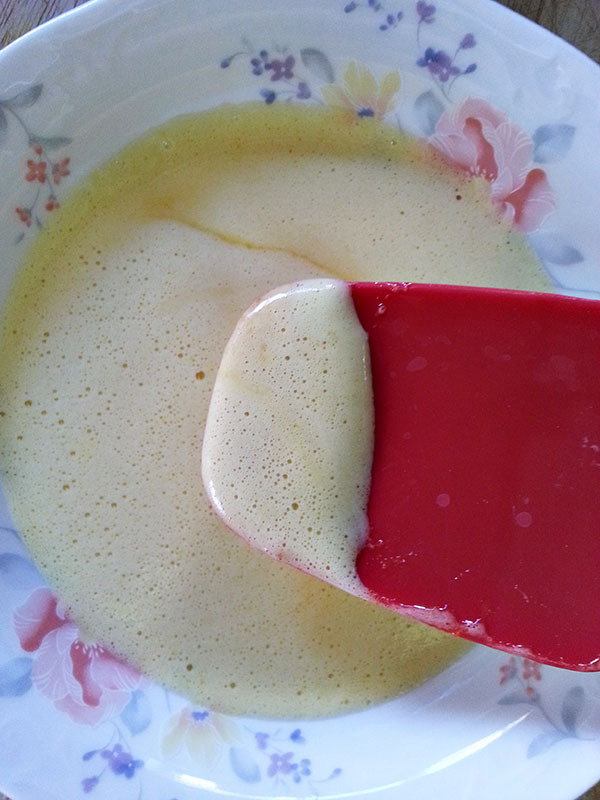 In a separate bowl, whisk together egg yolks, sugar, and milk until the mixture is a pale yellow, about 3-4 minutes. Whisk egg whites until medium-stiff peaks form. Add the flour mixture to the egg yolk mixture and stir to combine. Add the egg whites and gently fold to combine. Pour the batter onto the prepared baking sheet in one even layer. Bake for 8-10 minutes or until a toothpick inserted in the center comes out clean. Let cool for 5 minutes. Loosen the edges of the cake from the pan and invert the cake onto a clean kitchen towel. 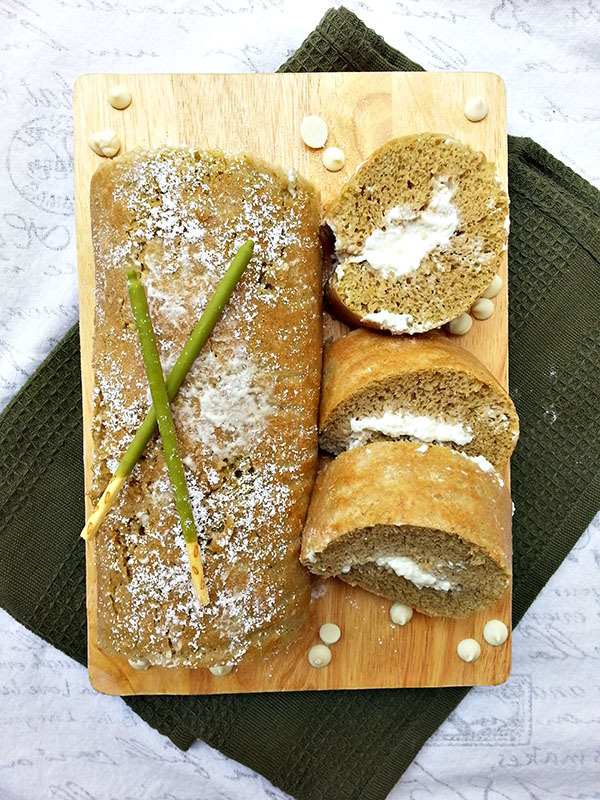 Remove the parchment paper and carefully roll the cake into a log, using the kitchen towel as an aid. Let the cake cool completely on a wire rack. Meanwhile, make the white chocolate mousse. Melt white chocolate and 2 tbsp whipped cream in a double boiler. Once the chocolate has melted, remove from heat and let cool at room temperature. Whip 1/2 cup heavy whipping cream until medium peaks form. Whisk in the white chocolate mixture and whip until combined. 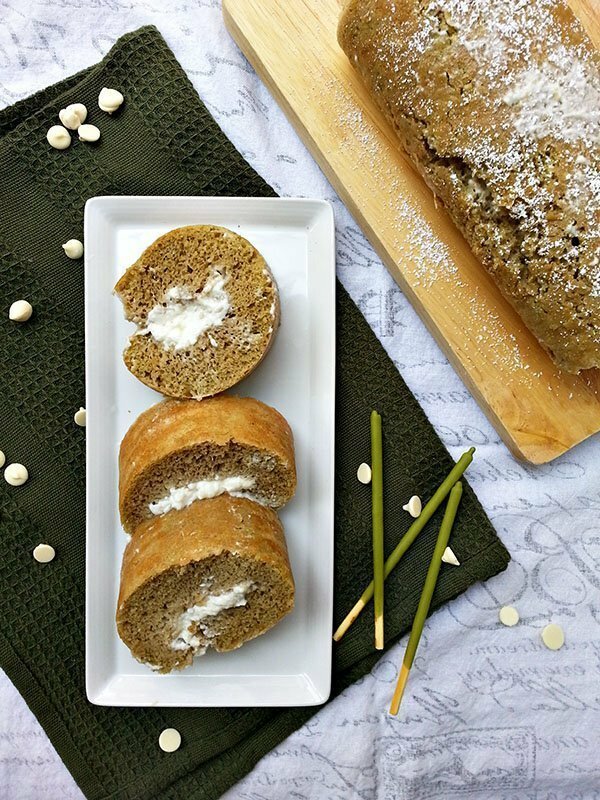 Unroll the roll cake and spread white chocolate mousse in an even layer. Roll the cake once more, seam side down. Chill in the refrigerator for 30 minutes to set. Slice and serve. 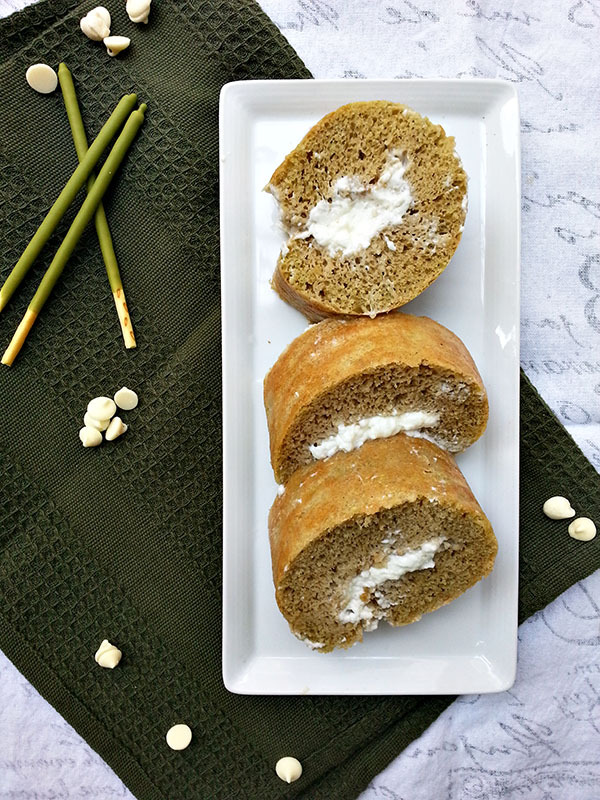 The first time I made this green tea roll cake, I followed another recipe. 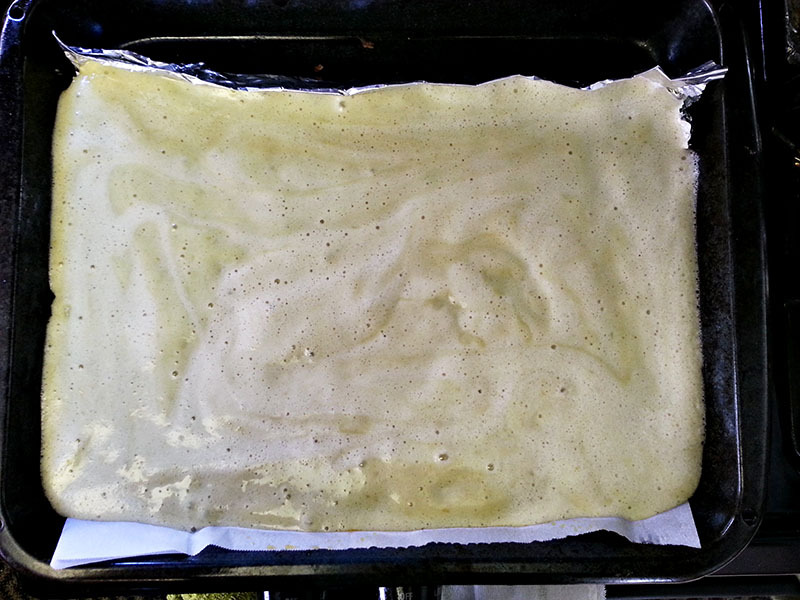 The batter was spread too thin and there wasn’t enough green tea powder, making that attempt fail number 4. I was frustrated, o say the least. I had to make at least one good roll cake once in my life! Determined, I decided to combine methods from various roll cakes to recreate a new one. To make the roll cake light and airy, you need to whip the egg whites and egg yolks separately. The egg yolks should become light yellow in color and have small bubbles. The egg whites should be able to form peaks, but not stiff peaks – you want them to be at medium-stiff peaks, not completely firm. 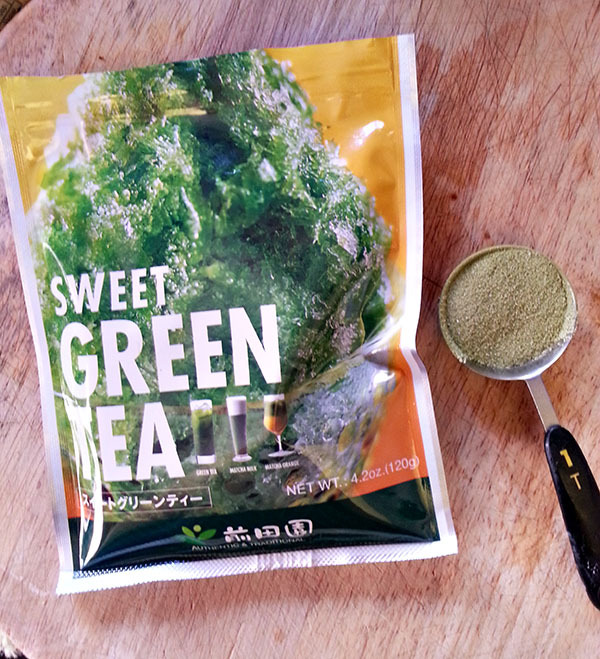 I had some difficulty finding green tea powder so I used sweet green tea powder instead. This variation was a combination of green tea powder and sugar. I ended up adding an extra tablespoon until the batter became a mint green color. 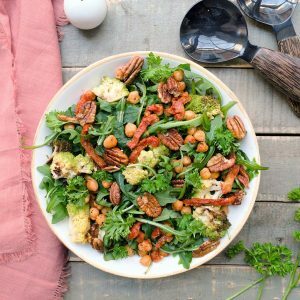 Although unsweetened is the preferred ingredient, if you use sweetened matcha, you can adjust the amount of sugar in the recipe accordingly. Since the batter was spread too thin the first time, I decided to make my pan a little smaller by creating a border with foil. This is where I made my mistake (another mistake, yet again). The cake ended up being too thick; you need a fairly large baking sheet pan to create the right thickness. Once the cake has been baked, roll the cake and let cool. Rolling the cake prior to spreading the cream filling makes it easier to roll once it’s fully cooled. 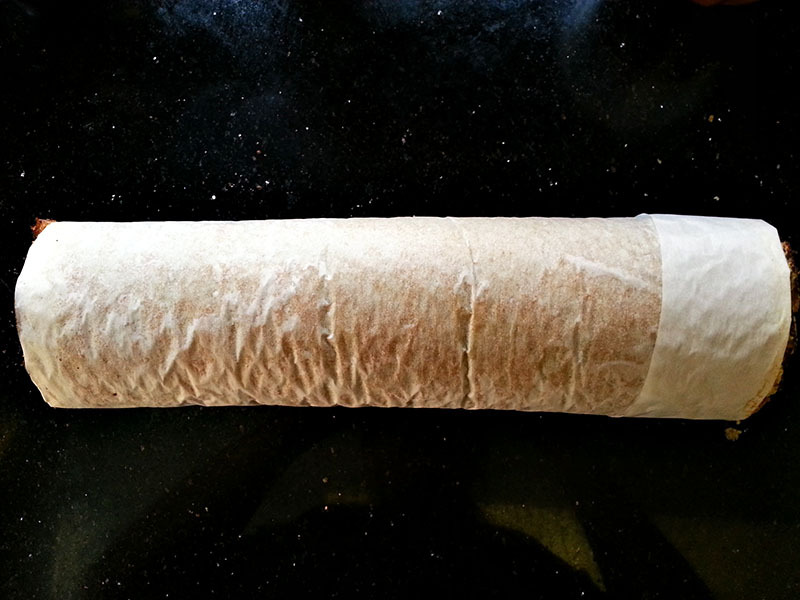 I didn’t have any clean kitchen towels on hand so I simply rolled the cake using the parchment paper it was baked on. 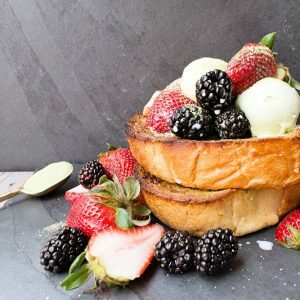 You can choose to fill your green tea roll cake with a white chocolate mousse like I did or vanilla whipped cream, chocolate, strawberry, red bean, the list goes on. When preparing the white chocolate whipped cream, make sure to cool the white chocolate before adding it to the whipped cream. If the white chocolate is too hot, it will melt the cream. Spread the cream filling, roll the cake once more and serve. I will admit, the cake still wasn’t 100% successful since it was too thick, but the flavor was spot on. At least now I know exactly how to approach this cake and can confidently say I will be completely successful next time!